An article by Roger McNamee titled “How to Fix Facebook - Before it fixes us” does a great job of describing the problems created by Facebook or any other platforms working in the same way, but contradicts itself when it proposes certain kinds of regulatory fixes. There must be limits on the commercial exploitation of consumer data by internet PLATFORMS. Why fix something that you can (and should!) make irrelevant? I agree 100%: decentralization is crucial here. For this very reason I find it contradictory that 7 of those 8 points are about fixing “platforms”. 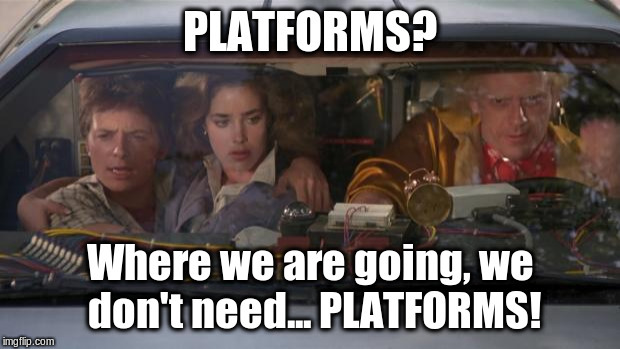 Platforms? We should be going where we do not need platforms, instead. Insisting to applying correct fixes to the wrong kind of architecture solves very little, in the long run. ANY single platform that may still host millions would preserve the same problems you’re trying to fix. It would be, unavoidably, still be so centralized to make applying those fixes extremely complex, and full of unintended consequences. The only real fix to platforms like Facebook is to make it easier for people to communicate with each other DIRECTLY, without centralized platforms. and all my other Mastodon posts. I’d REALLY like to work on it myself, but if others do it, it’s OK!